Home with a view! 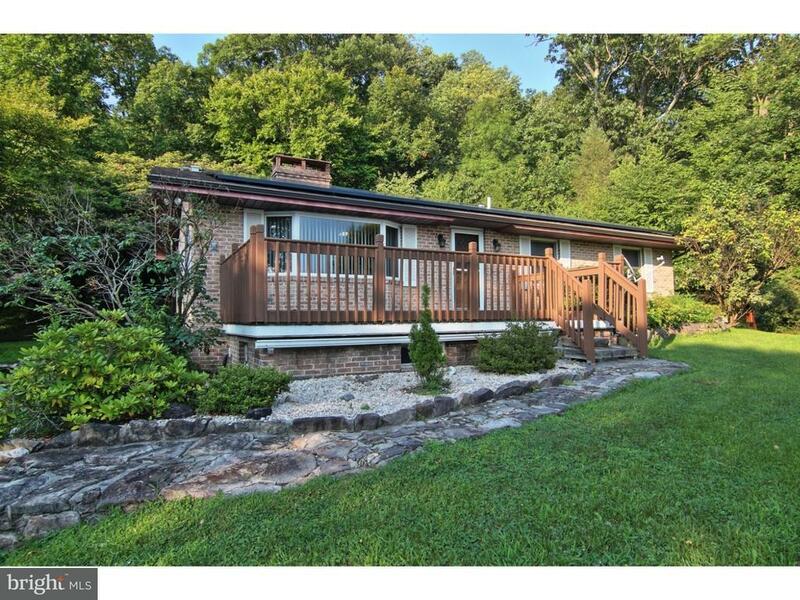 Perched atop 4.7 serene acres, you will find this well maintained ranch home. Located in highly ranked Boyertown School District, this country home has features other homes just cant offer. Enter the home from the large front deck into the open living room and kitchen. The cathedral ceiling with open beams draws your eyes up. A full brick wall wood burning fireplace is the centerpiece and will keep the entire first floor warm and cozy in winter. New laminate flooring extends into the hallway and bedrooms. The spacious eat in kitchen features ample cabinetry and plenty of room for a full table and chairs. Down the hallway there is a full hall bath as well as three bedrooms. The master bedroom has a private half bath. Downstairs the basement offers a lot of options! You will find a partially finished room (possible 4th bedroom), a bonus/storage room, a full bath, laundry room, 1 garage and ample storage options all under a high ceiling. For car buffs or those with toys there is an over sized detached 2 car garage with electric and lean-to. The large back patio provides quiet serenity. Probably the most unique feature of this home is the solar panels which provide credits towards your electric usage. With newer roof, newer well pump, updated electric and generator hook-up, this home offers unique pluses that other homes cant top!